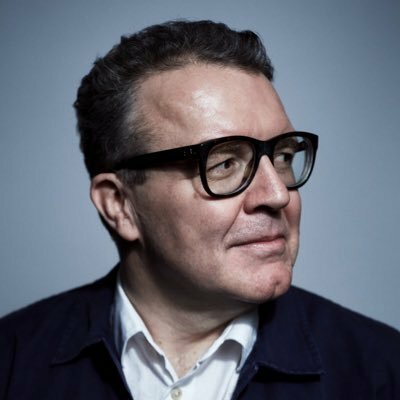 Shadow Culture Secretary and deputy Leader of the Labour Party Tom Watson MP sent this message to CMC delegates ahead of the 4 July opening Question Time session policy debate in Showroom Cinema 4 at 9.30 am. Firstly, my apologies for not being able to attend this year’s Children’s Media Conference. The work you do is at the core of inspiring our young with wonderful tales, fantastical journeys and, so importantly, educational opportunities. It seems particularly poignant that this week saw the passing of Peter Firmin, one of the great creators of children’s programming, who has inspired millions and millions of children. It was quite remarkable that just three years ago my all-time favourite of Peter’s programmes, The Clangers, was remade for the children of today, proving how timeless great characters and stories can be – whether made for the digital age or not. Having said that, I have been and remain a strong advocate of digital technology and how we can harness the power of apps to enhance the learning experience. I am not a fan of those who believe that restrictive screentime regulations or the banning of mobile phones provide a credible answer as to how we strike the right balance in our children’s media. As you are only too aware, children now spend more time online surfing the internet than on sofas watching TV. We need to ensure the regulatory environment responds to that change and that children are kept safe online and that their privacy is protected – but we also need to be positive about the changes the digital age offers. Nor should we see restrictions on “junk food advertising” as only a matter for television. Much great programming can only be financed through advertising and this issue is as much, if not more, pertinent for the online world than it is for television. I am determined that Labour will see this issue in the round, with full awareness of the desperate need to support investment and opportunities for children’s programming. What does concern me in my role as Shadow Secretary of State for Digital, Culture, Media and Sport is the deeply negative trend in spend on children’s programming. We raised this during the passage of the Digital Economy Bill and Labour has welcomed the Contestable Fund. However we, like you, must wait to see the detail of the policy before assessing its likely impact. Original, quality content for children should be at the heart of what public sector broadcasters deliver, and it’s vitally important that organisations like the Children’s Media Foundation keep pushing the cause.